The Hazard Mitigation Grant Program (HMGP) Elevation Program is a reimbursement grant program designed to help homeowners with the elevation of their primary single-family residences to meet the requirements of the flood insurance risk maps in flood-prone communities. The program is limited to the Sandy-impacted communities of Atlantic, Bergen, Cape May, Essex, Hudson, Middlesex, Monmouth, Ocean and Union. There are no income requirements for the program and FEMA registration is not required in order to apply. Eligible applicants can receive reimbursement of up to $30,000 for elevations on existing single-family homes. Press Release The New Jersey Department of Environmental Protection (DEP) and New Jersey Department of Health (DOH), in cooperation with municipal and county governments, are doing everything possible to ensure recreational beaches are safe and clear of debris. However, the ocean is dynamic. Currents and waves may uncover storm debris at any time. You should always be aware of your surroundings when entering the ocean. All beachgoers should use common sense and caution while on beaches and swimming. Always use beaches with lifeguards. The initial application period for the ‘reNew Jersey Stronger’ housing assistance grants for homeowners impacted by Superstorm Sandy closed yesterday, June 30, 2013. All applications received during the initial application period will be in the first group processed. Grant selection will be prioritized for homeowners with the most damage (i.e., substantial, severe and major) and those households in one of the nine most impacted counties with the greatest financial need. To ensure that all homeowners that applied during the initial application period have an equal chance to be selected, the order in which applicants are selected will be determined by an electronic random ordering process. Long Beach Township would like to send this reminder to primary residents of the town. You may be eligible to register for the following two storm relief grant programs that are being administered by the State of New Jersey’s Department of Community Affairs. Even if you have applied for the Hazard Mitigation Grant Program (HMGP) you should also register for these programs. The HMGP application is still pending and any updates will be posted on the township website and joint emergency management page. Please either visit the website at www.renewjerseystronger.org call the State hotline at 1-855-726-3946 or visit the recovery center located at 750 Vassar Avenue, Suite 1 Lakewood NJ. TRENTON, NJ ─ New Jersey residents with questions about the National Flood Insurance Program and mitigation techniques have a helpline to call to get the most up-to-date information. Hand removal of debris up to the surge line along the eastern shoreline near Mill Creek. Target and debris removal continued in the Brigantine area, Bulkheaded shoreline of Brigantine Island, Rum Point area, and near Atlantic City/Ventnor. Side scan sonar Oyster Creek, Parker Town Beach, Ham Island area, and Southwicks Marina. Long Beach Township Office of Emergency will be updating the public with information regarding debris cleanup in our water ways. Periodic updates will be provided as we receive them from the DEP and the contractors involved in the cleanup process. 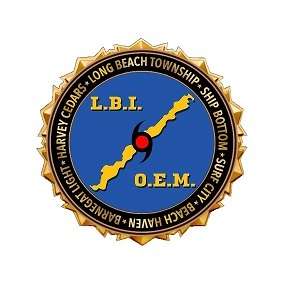 Just so you are aware Long Beach Island is located in Zones 7(Barnegat Light to Causeway Bridge), Zone 8( Bridge to Little Egg Inlet) and Zone 9 (Little Egg Inlet to Atlantic City). Report any debris information to the number provided below. Below is a current update. We would like to remind all residents and contractors that residential sand and construction debris are no longer being picked up by Long Beach Township. We ask that all construction debris be placed in containers as per construction code. Additionally, do not place unwanted sand or gravel in the street. It is the homeowners responsibility to dispose of it in a legal manner. The House Raising Hazard Mitigation Grant Program application deadline is Friday, March 15. Go to www.longbeachtownship.com for information on how to submit a letter of intent or call 609-361-6641. Information can also be picked up in the Recycling office at the Township municipal building. Sandy-Displaced Families Can Receive Assistance Through March 22, 2013 TRENTON, NJ – The Christie Administration today announced that the Federal Emergency Management Agency’s (FEMA) Transitional Sheltering Assistance (TSA) Program has been extended at the Administration’s request for an additional 14 days to the end of March 22, 2013. The extension means eligible households can receive TSA assistance through March 22 with a check-out date of March 23, 2013. This is the Long Beach Township Office of Emergency Management contacting you on March 7, 2013 with storm advisory information. The voluntary evacuation notice broadcast for specified ocean front homes on March 6, 2013 has been rescinded. Current weather conditions allow these homes to be repopulated at this time. We ask owners of ocean front homes, without signed beach easements, to report erosion concerns to Long Beach Twp. at 609-361-6632. The forecast calls for minor to moderate flood condition through Saturday. We anticipate flooding on Long Beach Blvd and low lying west side streets. Please monitor weather sources to assist with travel planning and protection of property. The current forecast through March 7th projects beach erosion, rain, snow, high wind and moderate to severe flooding. We recommend a voluntary evacuation of ocean front homes from 72nd Street in Brant Beach to 84th Street in Brighton Beach in addition to ocean front homes in Holgate. Expect, at times, for parts of Long Beach Blvd to be impassable on March 7. The high tide at 5:45 a.m., on March 7 is likely to flood parts of Long Beach Blvd on the south end of the island. Areas which are prone to bay flooding should secure property including moving cars to high ground. Monitor local weather sources and make plans in consideration of the forecast. TRENTON, N.J.— Hurricane Sandy survivors in New Jersey have five days remaining to register for recovery assistance with the Federal Emergency Management Agency. Survivors can register by phone until 10 p.m. March 1 or online until midnight. March 1 is also the deadline to return applications to the U.S. Small Business Administration for low-interest disaster loans, which is the primary source of federal funds for long-term rebuilding. The quickest way to apply for an SBA disaster home or business loan is to fill out an online application at disasterloan.sba.gov/ela. New Jerseyans who applied for federal disaster assistance are urged to stay in touch with FEMA and SBA. Applicants should notify FEMA and SBA of changes to their mailing addresses, phone numbers or email addresses. There will be a Town Hall Information Fair on Saturday February 16th from 10am-2pm. The Fair will be located at the St. Marys Community Center, behind St Marys Church, 100 Bishop Rd (off Mckinely Ave) in Stafford Twp. FEMA will have several entities (reps from ICC, HMGP, ABFE, along with others) available for residents/business owners to sit down with and get answers to questions regarding grants, house raising, flood elevation levels and more. There will also be representatives from each town to answer questions. We are encouraging everyone with questions to attend. TRENTON, N.J. — Saturday hours for New Jersey disaster recovery centers will change to 9 a.m. to 4 p.m. on Feb. 2. Monday through Friday the hours will remain 9 a.m. to 7 p.m. Survivors can locate their closest center online at FEMA.gov/DRC. Help and information are always available online or by phone. Survivors can apply for disaster assistance or check on the status of their applications at DisasterAssistance.gov, by using a smartphone or tablet at m.FEMA.gov, or by calling 800-621-FEMA (3362), TTY 800-462-7585 or 711/VRS. Survivors can ask questions about their Small Business Administration disaster home loan applications by calling 800-659-2955 or TTY 800-877-8339 or emailingdisastercustomerservice@sba.gov. Additional resources are available online at FEMA.gov/SandyNJ. There have been more than 67,000 survivor visits to New Jersey centers since opening in November. TRENTON, N.J. — For many New Jersey homeowners, rebuilding after Hurricane Sandy will mean meeting a higher standard – literally. Communities up and down the Jersey coast are reviewing new advisory base flood elevation maps published in December by the Federal Emergency Management Agency. The maps show how high buildings should be elevated to minimize damage from future flooding. TRENTON, N.J. — Survivors of Hurricane Sandy now have until March 1, 2013, to register for disaster assistance through the Federal Emergency Management Agency. 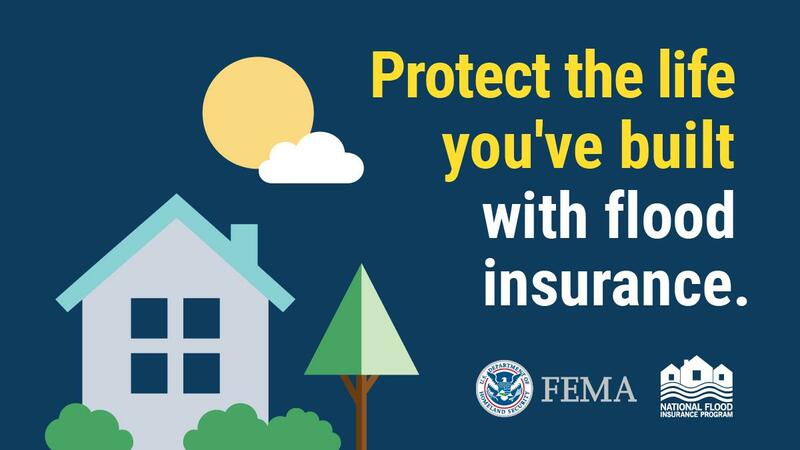 People with storm losses in all counties in New Jersey can register online at www.DisasterAssistance.gov or via smartphone or tablet at m.fema.gov. Registration is also available by calling 800-621-3362, TTY 800-462-7585 or 711/VRS. The toll-free telephone numbers operate from 7 a.m. to 1 a.m. seven days a week. The deadline was extended one month at the request of the state of New Jersey. Through Wednesday, Jan. 23, more than 57,500 storm survivors have been approved for help through FEMA’s Individual Assistance program in New Jersey. As of 1-14-2013 the Long Beach Township Building Dept would like to report that: They have issued/approved 12 Substantial Damage Applications;There will be staff available for face to face meetings to discuss the building permit process and that the permit process for repairing a home will be fast tracked;There will be a temporary Certificate of Occupancy (CO) issued for those houses that will probably sold as is without repairs. These CO’s will be issued contingent upon the buyer obtaining a Final CO.;There is a link on www.longbeachtownship.com that provides information pertaining to the new base flood requirements and house raising/ICC information. ; Homeowners can also call 609-361-6687 for house raising requirements and ICC program for damaged structures. From this date forward: Household Hazardous cannot be put out to the curb. There is an ongoing paint management program at the Southern Ocean County Recycling Center in Manahawkin Starting January 14 residents will need to resume calling in to schedule pick-up of appliances, brush and electronicsBrush- Call 609-361-6676 by noon on Tuesdays for pick up on WednesdaysAppliances and electronics- call 609-361-6676 to get on the list for pick upConcrete cannot be placed curbside and will not be picked up Do not place construction material at the curb. All construction debris needs to be disposed of in a dumpster, this includes sheet rock, insulation, plywood etc.. Reminder: Bulk waste can be placed out at the curb on regular trash days for pick up by Pinto Brothers, this includes household items such as furniture, carpet and fixtures etc. The Long Beach Island Office of Emergency Management is offering to any resident who has not gone to or cannot get to the FEMA Disaster Recovery Center in Harvey Cedars an opportunity to do so on Friday January 4th at 10:00am. We will be providing transportation to those who need it. Please call 609-361-2065 or 609-494-3322 to put your name, contact information and address on our list. At the Disaster Recovery Center you can meet with FEMA representatives, including Small Business Administrators to discuss benefits. This applies to homeowners, business owners and renters. If you are not able to safely accept electricity at your home or business due to damage from Hurricane Sandy, please call Atlantic City Electric’s Customer Care office at (800) 642-3780 to provide your name and address so that their records can be updated.